The Bruce Woollen Manufacturing Company mill in Milton imported most of its specialist machinery from Britain. Used for carding, spinning, twisting, warping, finishing, weaving and combing, it was estimated to cost £6,000 ($998,000 in 2009 terms) – more than half the capital raised. 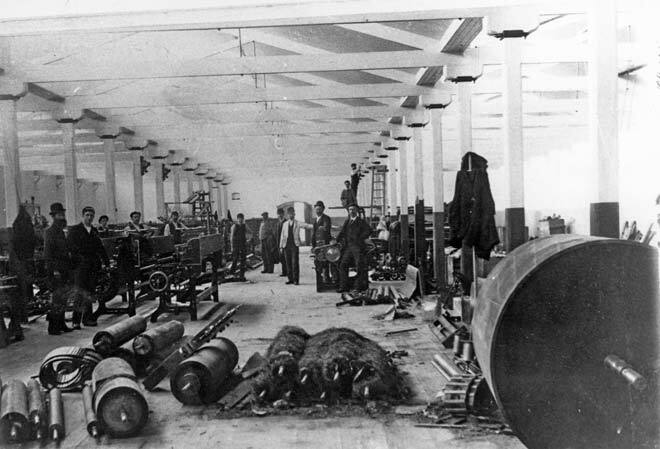 The machinery is shown here being assembled in 1897. It was driven by a boiler and, when manufacturing first began, two traction engines supplied by local engineering firms.